The House of Cais Cerveira, is a historic house in which the year of construction should be around 1700. It is leaning against the wall of the Castle of Cerveira, the room has a direct view of this wall, has a small patio for a quiet reading. It has a living area with TV, central heating, equipped kitchenette, dining area, private bathroom and a wardrobe. Pets are allowed free of charge. The house of Cais Cerveira, is on the route of the Camino de Santiago and has hosted many pilgrims throughout the year. The Cerveira fair is one of the largest in the North of Portugal with weekly periodicity and takes place on Saturday. 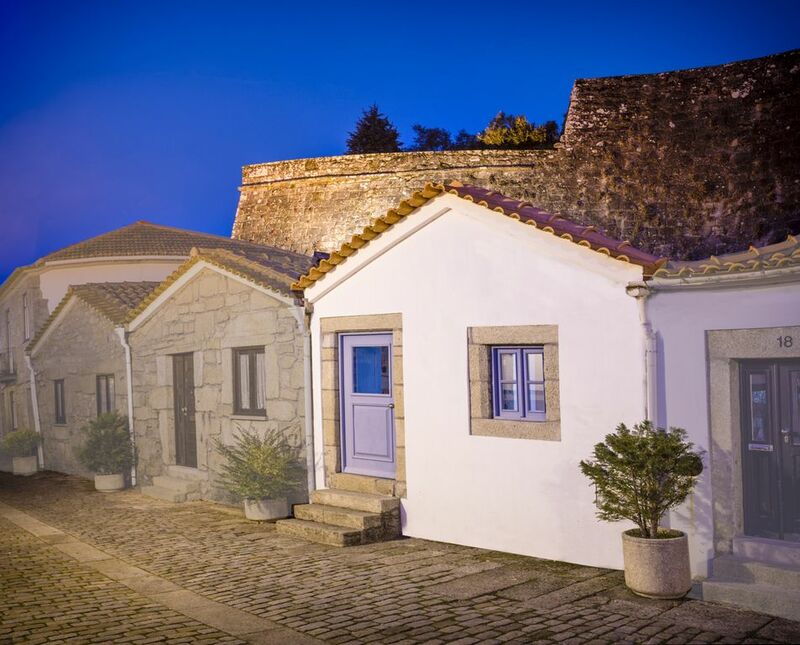 It transforms the small quiet village, in a more lively place motivated by the visit of thousands of tourists, Portuguese as well as Spanish. Full bathroom with light entrance from Velux window ceiling.